It's generally easy to tell when an incandescent bulb has burned out. Simply look at the filament to see if it is broken, or give the bulb a gentle shake to listen for the familiar "tinkle tinkle" of the broken filament in the bulb. Identifying the viability of a fluorescent bulb is somewhat more complicated. Check the ends of the tube. If they appear darkened this indicates the bulb is burned out. Rotate the tube in the fixture if the bulb is not darkened on either end. Remove the bulb from the fixture if the bulb is still not illuminating. Remove one of the working tubes from another fixture and replace it with the suspect tube. 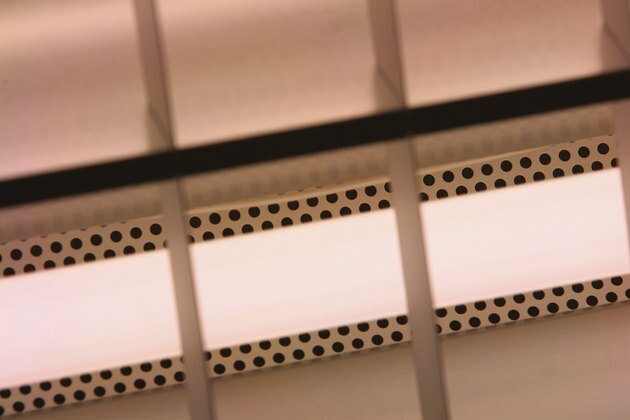 If it illuminates, the suspect ballast, starter, or fixture may need to be replaced. If it does not illuminate, the bulb is burned out.